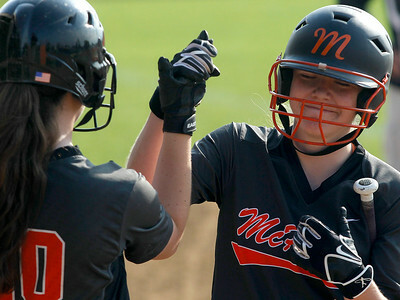 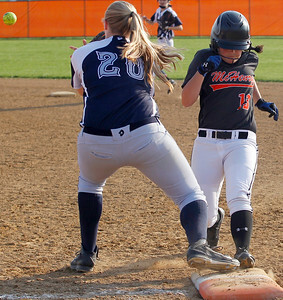 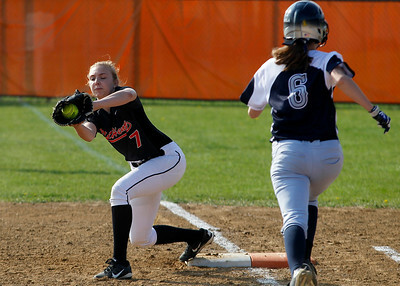 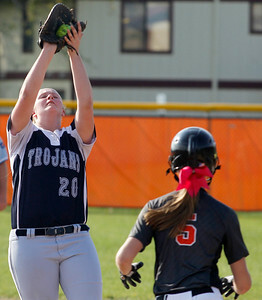 McHenry's Dana Walsh claps the hand of teammate catcher Carly Mattson, right, before Mattson's first inning at-bat against Cary Grove during their softball game on Monday, May 04, 2015 at McHenry High School West in McHenry. 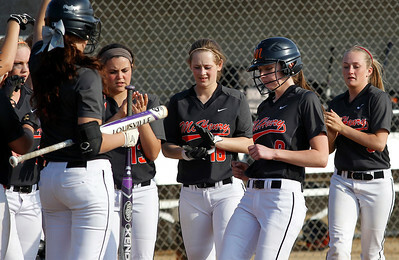 The duo would have reason to celebrate later as well when they both reached base with singles in the third inning. 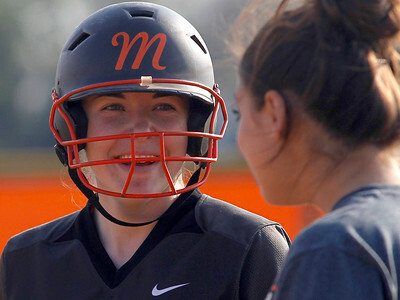 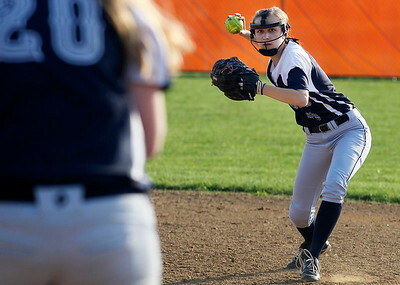 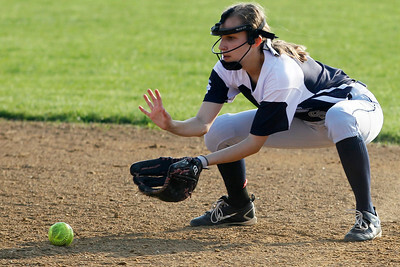 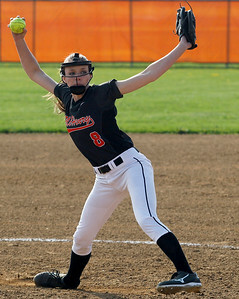 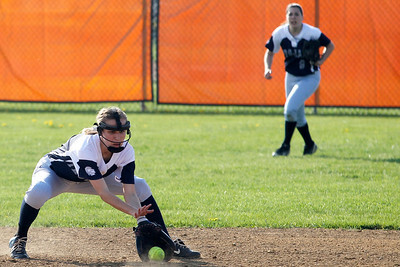 A courtesy runner in Maggie Wiegman took over base running responsibilities for Mattson and both Wiegman and Walsh would score on a home run by their pitcher, Kristin Koepke, who also picked up the win in the 6-0 game.